Irene has been in early intervention since 2000. She practiced in the East Bay Area of San Francisco, mainly serving the Oakland area through Easter Seals Bay Area. She also enjoyed working at Mills-Peninsula Hospital in their pediatric outpatient clinic. After her giving birth to her first son, she wanted to be closer to family and moved back to Southern California. After working for a pediatric clinic in Fountain Valley for a year and a half, concentrating on feeding and oral motor issues, she gave birth to her second son. Wanting the flexibility of making her own hours, she became an individual vendor with the Regional Center of Orange County. She started Head to Toe with a pediatric physical therapist, in 2007. In November, 2012, Irene became the sole owner of Head to Toe Therapy. 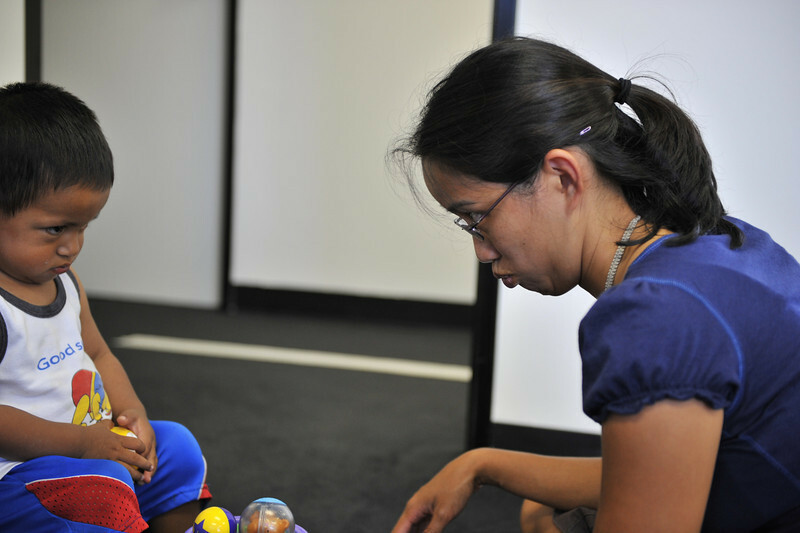 Irene’s main interests are: feeding/oral motor development and sensory processing. She enjoys working with the pediatric population and is actively learning Spanish.